What's the best way to consume cannabis? Comparing topicals, vaping, edibles and more. HomeEdiblesWhat’s the best way to consume cannabis? Comparing topicals, vaping, edibles and more. But not the only one. What about marijuana edibles? Cannabis tea? Soda with CBD? Nasal THC inhalers? Cannabis skin creams? Sublingual drops? Are these just gimmicks whipped up by unscrupulous marketers riding the wave of demand for marijuana-based products, or does the delivery method really make a difference? The answer is yes, delivery matters. Each method has advantages and disadvantages. 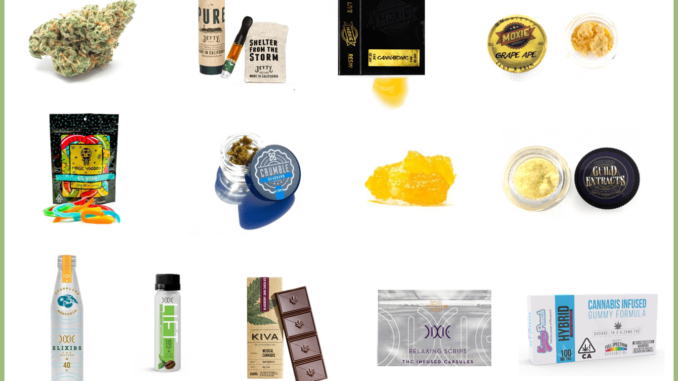 Whether the product you’re buying actually contains the amount of cannabis the vendors claim is another matter, but for this article, let’s assume we’re talking about high-quality products like the ones you order through WoahStork. To understand the benefits and drawbacks of each delivery method, it helps to know a little about the study of pharmacokinetics, a branch of pharmacology focussed on how the body absorbs and uses drugs. When developing new drug delivery methods, researchers have to figure out how the drug molecules respond during each step in this process. For example, imagine you found some obscure molecule that kills tumor cells in a petri dish. Load it up in a pill, however, and acidic stomach juices completely destroy the molecule before your intestines can even get it into your bloodstream. That’s why pharmacokinetics is so important: that new cancer drug does no one any good if it can’t get to the tumor. 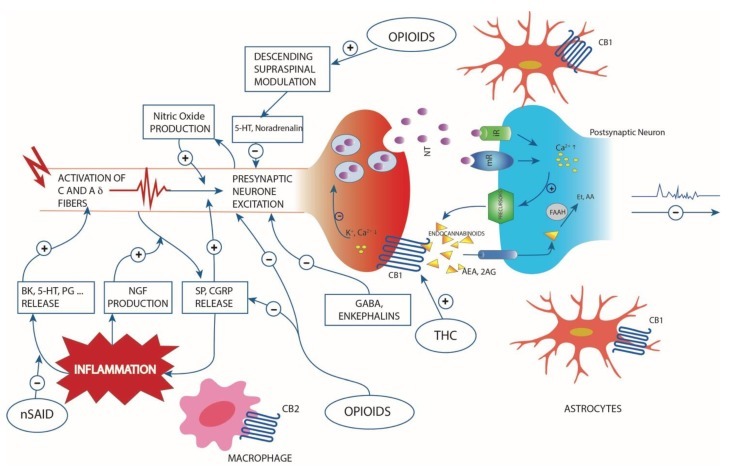 Given the promise of cannabis-based therapies for myriad neurological, psychological, inflammatory and digestive disorders, pharmacokinetics researchers have been working to determine the best way to administer the drugs. It’s why a team of Italian scientists from the University of Turin published one of the most comprehensive looks at the effectiveness of cannabis based on how patients consumed it. There are many advantages to taking medication orally. You can precisely manage the dose, you don’t have to worry about irritating nasal or lung tissue, and pills are portable and easy to consume. With marijuana-based extracts, however, it’s relatively difficult to deliver a dose at full strength. First-pass metabolism is a problem. Remember that hypothetical cancer drug from earlier? Stomach juices destroying the molecule is an example of the problems first-pass metabolism can present drug developers. When taking marijuana extracts in edible or pill form, first-pass metabolism is a big issue. “Oils and capsules currently allow for more convenient and accurate dosing than juices or teas from the raw plant. Nevertheless, absorption is slow, erratic and variable,” the Molecules study states. 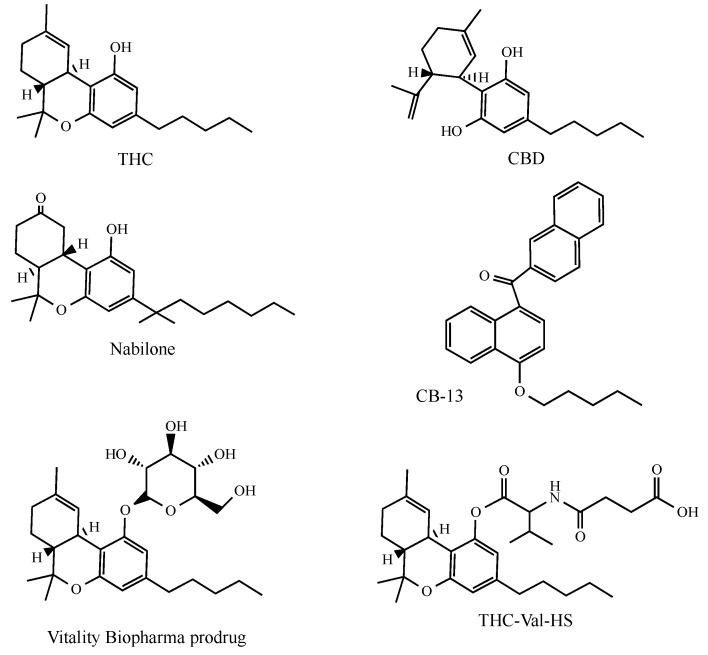 The top two illustrations show the molecular structure of the phytocannabinoids THC and CBD. The other schematics show what some synthetic cannabinoids on the pharmaceutical market look like in comparison. Image courtesy of the journal Molecules. The main psychoactive and a major therapeutic component in cannabis is Delta-9 Tetrahydrocannabinol (THC). When you eat cannabis products, your gastrointestinal system breaks out THC early in the digestive process and sends it straight to your liver. You liver metabolizes a bunch of it before it can get to the rest of your bloodstream and nervous system. So, with edibles, teas, and other non-pharmaceutical methods of orally consuming cannabis, you’re losing a significant amount of THC in the digestive process. Eating cannabis-based products certainly can be effective from a therapeutic and recreational standpoint. Anyone who’s felt an edible kick in right at the start of a Pink Floyd laser light show can tell you that. The drawback is you’re wasting a lot of THC in the process of getting it into you bloodstream through your gastrointestinal tract. But sometimes you want to deliver THC and it’s non-psychoactive twin cannabidiol (CBD) directly to the gut. Cannabinoids — the general name for the chemicals in marijuana that interact with your neurological endocannabinoid system to produce its effects — have proven effective in calming the symptoms of various irritable bowel disorders like Crohn’s disease. To accomplish this, drug developers have lots of tricks. They include changing the drug molecule slightly to make it harder to break down in the stomach or binding the drug up in an emulsifier that doesn’t release the drug molecules until further along in the digestive process. Further complicating the story, some genetic predispositions can make an individual 30% less effective at breaking down THC and/or CBD. As such, users with such genes could experience much higher and longer highs that end in lethargy for days to come. That’s why consumers looking to optimize their consumption on a personal level should first consider a cannabis DNA test to identify the right products for their body. Another delivery route is through the mucous membranes in the mouth or nose. Nasal and oral sprays have the advantage of delivering cannabinoids directly into your bloodstream, bypassing the liver’s first-pass breakdown of the chemicals. Pharmaceutical companies are working to develop more trans-mucosal, cannabis-based medications, especially for pain and neurological issues. For example, the FDA approved in 2018 GW Pharmaceuticals’ CBD-based Epidiolex oral spray for early childhood seizure disorders. One company is even working on a THC-CBD chewing gum. Unsurprisingly to veteran tokers, perhaps, inhaling marijuana and its extracts as smoke or vapor is the most efficient delivery method, similar in effectiveness to intravenous injection. The effects don’t last as long, however, and different lung volumes and inhalation techniques from person to person make it difficult to dose the cannabis accurately. The popularity of vaping cannabis has initiated a huge proliferation of vape products. 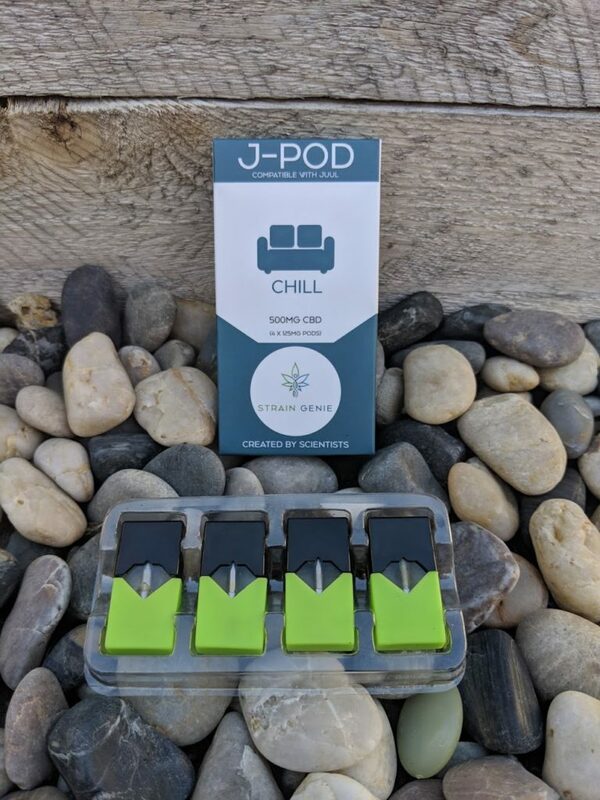 For example, CBD Juul Pods are increasing in popularity due to their compatibility with the sleek and discrete Juul device and the fact that they are non-psychoactive. Since the vapor is released based on a direct lung inhale, devices like this make it slightly easier to control dosing. Related article: Can smoking cannabis give you lung cancer? Pharmaceutical companies are working on devices for inhaling cannabis that can exactly measure the dose. For the recreational user, exact dose accuracy isn’t as important. Still, lung irritation can make smoking unpleasant for some people. Nonetheless, it should be noted that vaping cannabis at precise temperatures is the best way to ensure that the intended effects of the strain / product are realized. Vaping at the right temperature allows you to not denature (i.e. destroy) the cannabinoids and terpenes that are found in different strains and products. These other components in pot are responsible for the entourage effect and all the different types of “high”s and medical relief that the plant can provide. THC and CBD have shown promise in treating a variety of skin conditions. As with many of the potential medical uses for cannabis, in-depth effectiveness studies are hard to find because weed has been illegal for so long. Rodent studies have shown rats with flaky dermatitis in their ears were able to clear it up with CBD gel. Other rats who scientists bred to have knee arthritis showed reduced joint inflammation when treated with the topical gel. Furthermore, the topical gel worked better in the rats than even the oral CBD preparations. The effectiveness of topicals is due to the fact that humans have CB2 receptors in their skin. This allows the cannabinoids applied to the skin to rapidly bind to those receptors and provide their therapeutic relief. Judging by brain activity monitoring, cannabinoid preparations didn’t get the rats high. If you’re looking to party, skip the topical creams. If you’ve got arthritis? There’s no 100-percent solid scientific proof it helps in humans yet, but there’s no evidence it hurts, either. However, a study published in the journal Rheumatology showed how cannabis is able to fight inflammation. It revealed that arthritis patients with front arthritis had an abnormally higher rate of CB2 receptors in their joint tissues. Cannabis works by fighting inflammation through activating these CB2 receptors, so it’s a small leap of scientific faith to say that cannabis topicals are effective in humans. Lear more about the analgesic effects of cannabis topicals and how they work for joint pain. Some lotions or creams pair the active ingredients with other pharmaceutical ingredients that make the skin more permeable (e.g. DMSO), or help the cannabinoid molecules pass through the hair follicle and pores more easily. Researchers have also experimented with transdermal patches to deliver cannabinoids — the same kind of setup used for nicotine patches or opioid patches. These are ideal for neuropathic pain and inflammatory conditions that require a long, low, continuous administration of cannabinoids. Both lotions and patches avoid first-pass metabolism, which is an advantage compared with the oral route. Imagine a million microscopic robots in tie-dye colors and tiny Grateful Dead bumper stickers propelling their way through your bloodstream, each with a tiny bag of dank nugs to deliver to your system, cell-by-cell. That’s not how nanotech delivery systems for marijuana-based pharmaceuticals work, but it would be way more fun if it were. Actually, drug developers throughout the pharmaceutical industry use nanotechnology all the time. Pharma researchers aren’t building tiny robots yet, but they’ve developed a number of different molecular packets that help deliver drugs to where they’re needed in the body. For instance, because THC and other cannabinoids are lipophilic, or fat-soluble (as opposed to water-soluble or hydrophilic), researchers have tried wrapping them up, molecule-by-molecule, in a bigger, cholesterol-based molecule. This helps save the cannabinoid from stomach acid and makes it harder for the liver to break down, making sure more of the drug survives first-pass metabolism and makes it to your bloodstream. Nano-tech molecule packets for drugs, including cannabinoids, can also help clinicians time the release of drugs based on how long it takes the body to break down the packet and absorb the attached drug molecule. Other manufacturers have tested different nano-tech delivery systems for marijuana-based drugs with varying degrees of therapeutic success.